Summer is here! Now more than ever there is enough time for everyone to get a boost of Professional Development in a short period! STARLINK Professional Development programs are flexible and easily accessible. They are your effective solution to gaining advanced knowledge to providing a study experience that will make an important difference in the academic and professional life of a student. 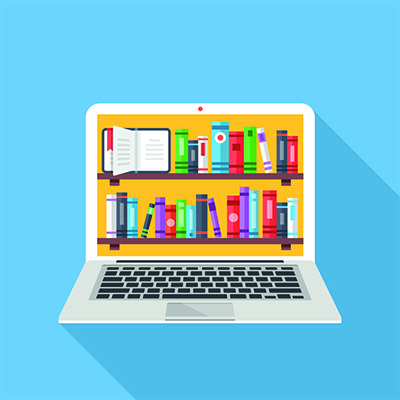 Last year, in its final annual report on online learning, the Babson Survey Research Group found that the number of U.S. higher education students taking at least one online course reached 5.8 million (nearly one half taking all their classes online). More than one quarter (28 percent) of all students enrolled in higher ed took at least one online course. If 60 full-time faculty members each retained one additional student per course who would have otherwise dropped out, the college could stand to gain an additional $1.6 million per year in revenue. Wallace Community College Dean of Instruction, Tony Holland used these numbers in his presentation during the American Association of Community Colleges meeting this week in New Orleans to illustrate the need for institutions to focus more heavily on professional development of faculty as a direct impact on the bottom line. Instagram wants to be the photo app for the whole world, even if you can't or won't download it. In pursuit of international growth where networks are slow and data is expensive, Instagram has given its mobile website a massive upgrade that adds core features of the main app, including photo sharing and a lightweight version of the Explore tab. STARLINK Professional Development is now holding an Open House. Take advantage and visit STARLINK today! A one day summit on Open Educational Resources (OER), how faculty utilize them, how institutions could implement an OER initiative on campus, and what copyright and other legal issues you may encounter. Attend in person in Dallas or virtually! STARLINK Members get a NUTN Discount! Teaching Tips are brief programs that will help you tackle classroom challenges. They are Free to all educators. "Your Link to Professional Development"